* While every reasonable effort is made to ensure the accuracy of this information, we are not responsible for any errors or omissions contained on these pages. Please verify any information in question with Lorensen Auto Group. Estimated Monthly Payment will depend on vehicle make and model and will be determined upon actual vehicle inspection. All payments are estimates. Tax, title, registration and dealer fees (including $549 conveyance fee) are extra. 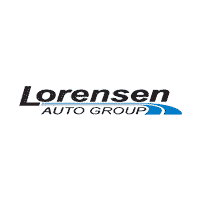 Lorensen Auto Group	41.289425, -72.445661.